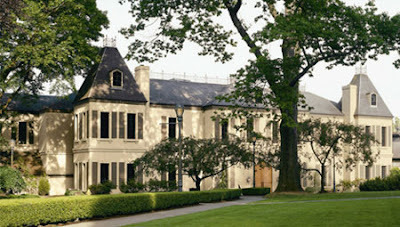 Seattle Opera Blog: Seattle Opera's 2012 Gala: "A Perfect Pairing"
Seattle Opera's 2012 Gala: "A Perfect Pairing"
A great voice is to the ears what a fine wine is to the palate—which is why Seattle Opera’s 2012 Gala, “A Perfect Pairing,” is at the lovely Chateau Ste. Michelle in Woodinville (pictured above). We’re all looking forward to this black-tie evening, on Saturday, February 11, and not just for the delicious wines. A benefit event for Seattle Opera’s education and community engagement programs and our Young Artists Program, “A Perfect Pairing” will feature a gourmet dinner, dancing to the music of the Dudley Manlove Quartet, and performances by celebrated tenor William Burden and promising Young Artist Joseph Lattanzi. 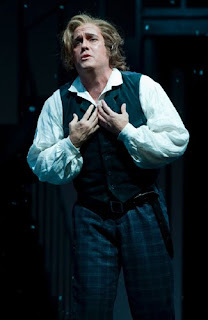 William Burden as Edgardo in Seattle Opera's 2010 Lucia di Lammermoor. You may recognize Burden from a number of recent Seattle Opera productions, including his moving portrayal of Edgardo in last season’s Lucia di Lammermoor. Next month, he’ll sing the role of Orphée in our upcoming production of Orphée et Eurydice, Gluck’s take on the Greek myth of Orpheus. Baritone and current Young Artist Joseph Lattanzi recently made his mainstage debut as Moralès in Carmen, and he’ll join Burden for the duet “Au fond du temple saint” from Bizet’s The Pearl Fishers, accompanied by YAP Pianist Christopher Lade. And as for the dancing? The Dudley Manlove Quartet has been called “the quintessential party band” by the Seattle PI. For more info on our 2012 gala—only two weeks away!—visit www.seattleopera.org/gala/. The different ticket levels come with a variety of great benefits, including an exclusive winery tour, tickets to an Orphée et Eurydice dress rehearsal, meet-and-greets, and more. Attending this kind of event soothes and refreshes are mind and knowledge.